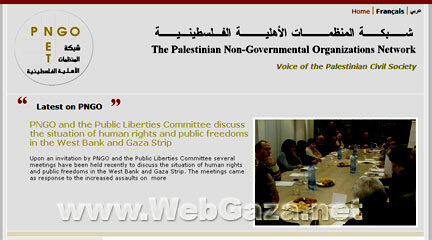 Palestinian Nongovernmental Organization Network (PNGO) - What is PNGO? PNGO is a civil and democratic body, which seeks to support, consolidate and strengthen the Palestinian civil society on the basis of the principles of democracy, social justice and sustainable development. It is a Palestinian NGO umbrella organization comprising 132 member organizations working in different developmental fields.